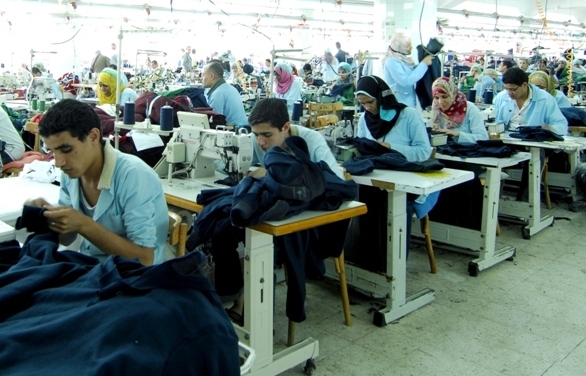 Sewing line capacity is an important matter in ready-made garments sector. By calculating sewing line capacity we can easily calculate the production capacity of any factory. As its importance, today I will present here the calculation method of sewing line’s capacity of an apparel industry. 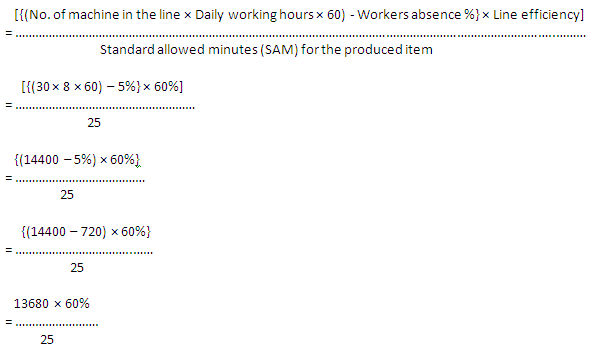 Standard allowed minutes (SAM) for the produced item. Now, by using the below formula, an industrial engineer can easily calculate the sewing line’s capacity of the factory. Suppose, in Abonty Fashions, a sewing line is running for producing full sleeve shirt with 30 machines at 8hrs working day, where sewing line’s efficiency is 60% and worker absent percentage is 5%. Find out the sewing lines capacity for the above factory. Standard allowed minutes (SAM) for full sleeve shirt= 25. So, sewing line’s capacity per day for the above factory is 328pcs. How to calculate sewing line’s capacity of a garment factory? How to calculate sewing room capacity of a garment factory? Describe the sewing section capacity calculation method for a garment factory. Describe the sewing section capacity calculation method for an apparel industry. Describe the sewing room capacity calculation method for an apparel industry. Describe the sewing room capacity calculation method for a garment factory.